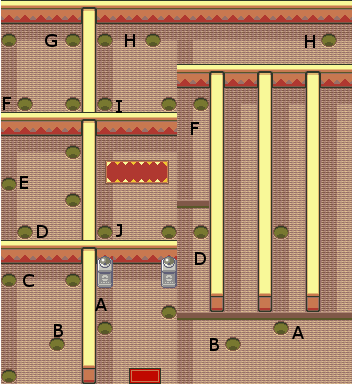 After defeating the gym and claiming your prizes, exit Mauville City via the west. You'll see a building here with a fenced area behind it. 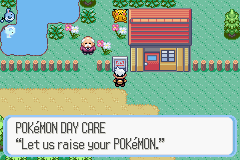 This is the daycare, where you can leave up to two Pokémon to slowly gain expirience and breed if compatible. Take the south route and nap the 9 Wepear Berries from the soft and loamy soil. 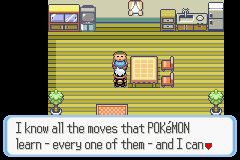 There's a total of 7 trainers you can battle on Route 117, which is always a good idea to gain expirience. 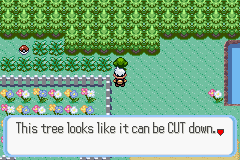 Near the north flower garden is a tree that can be cut down, do so to claim the Revive from the Item Ball. In the flower patch to the south you can see access to yet another Item Ball, this one containing a Great Ball. 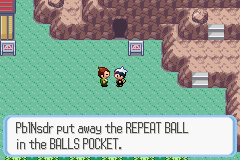 There's also a hidden Repel in the corner directly left of the Great Ball. 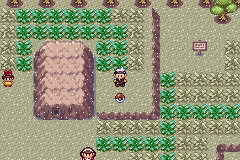 After entering Verdanturf Town and healing your Pokémon at the Pokémon Center, enter the red Contest House. Speak with the lady at the desk adn she'll issue you a Contest Pass. 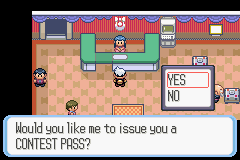 This pass will allow you to participate in contests in any Contest House in Hoenn. Speak to the girl in the northeast corner of the room and she'll give you TM45 - Attract. Feel free to enter any contests at this time, you can refer to our Contest Guide for any and all information on that. You can visit Wally in the middle house on the south side of town if you like, but he won't give you anything or battle you right now. Believe it or not, that's all there is to do in this town. 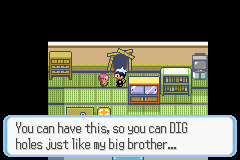 Enter the cave next to the PokéMart when you're ready. You're in Rusturf Tunnel, the one that was being dug from Rustboro City. Exit the cave to the left and talk to the man here. He'll ask you to look for his glasses. 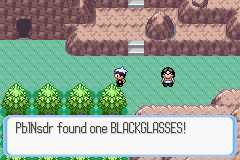 A pair of Blackglasses can be found two squares to the left of him, but he'll tell you that they aren't his before leaving. 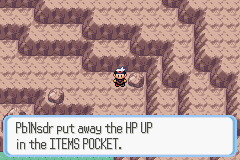 Make sure to grab the HP Up from the Item Ball before reentering the tunnel. Head north this time, defeating Hiker Mike and grabbing the Max Ether from the Item Ball. 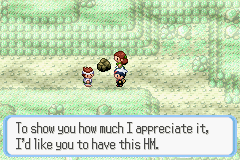 Use Rock Smash on on the rock here (you'll have to teach it to one of your Pokémon first, of course) and Wanda's boyfriend will award you with HM04 - Strength before returning to Wanda's house for some "rest". Exit Resturf Tunnel from the Rustboro Side and talk to the Devon worker. He'll give you the company's latest creation, the Repeat Ball for all the help you've given him. 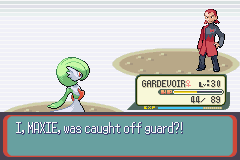 Make you're way back to Verdanturf Town and then Mauville City. Remember, you have a bike now that will make travel much quicker. 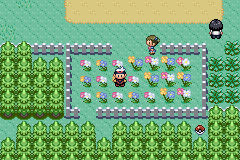 Head north from Mauville City onto Route 111. Here you'll find a house with a man standing outside of it. He'll challenge you to a battle with him and three other family members. Get ready for four consecutive battles before agreeing. 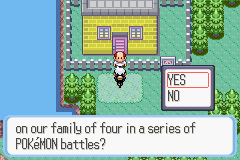 Notice that they are teh Winstrate family (win 4 battles straight), a nice little play on words for you to enjoy. You'll find two more trainers as well as an camera crew on Route 111. 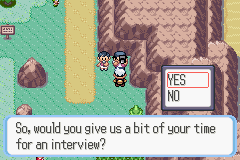 After defeating the team in battle, the crew will offer to interview you. Feel free to accept, you can check a number of T.V.s later on and they'll be playing your interview. You'll also find a desert to the north, but it's impossible to navigate right now. 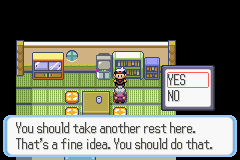 Continue onto Route 112. 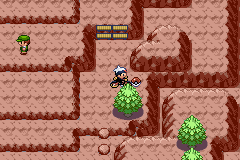 There's a few trainers you can face here before climbing the side of the mountain. 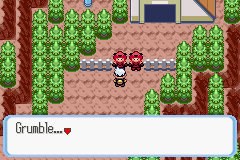 Here you'll find two Hikers to battle as well as two Team Magma/Aqua grunts blocking your path forward. You'll have to enter take the alternate route to continue your journey. Enter the cave to west. 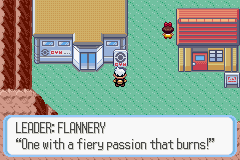 There's nothing in the Fiery Path bar a single boulder, but you'll need to defeat the next gym before you can use strength outside of battle. 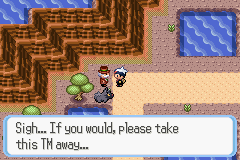 Just exit the cave back to Route 112. You can pick up 4 Pecha Berries and 4 Rawst Berries from the soft and loamy soil right off the bat. Head east back on to the northern section of Route 111. 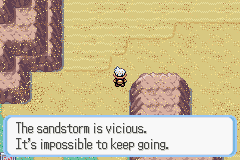 To your south is another entrance to teh desert, but it's still inaccessible because of a sandstorm. Head north until you see a man staring at a tree. Talking to him will get you TM43 - Secret Power, which allows you to create optional secret bases on large trees or the side of cliffs. Check out our Secret Base Guide for more information on them. 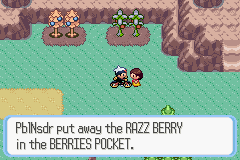 Just north of this a lady will give you a single Razz Berry (get it? 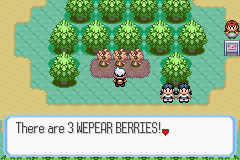 ), you can get an additional 6 Razz Berries and 4 Oran Berries from the soil above. You can heal up at the house to the east thanks to a kind old lady (who seems a little bit sketchy, especially in the way she talks). You can also watch your interview on T.V. here, if you like. Continue on to the ash-filled Route 113. 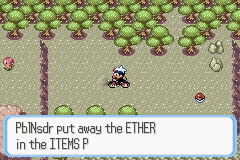 There's an Item Ball containing a Max Ether east of the twins. 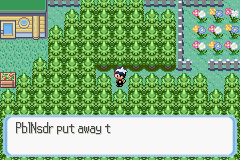 If you head back farther east and jump down the cliff you'll find an Ether in an ash mound and a Super Repel in an Item Ball. Continue until you find a house. Enter it and speak to the man to get the Soot Sack. You can now collect the volcanic ash you walk through and save it to make glass items. 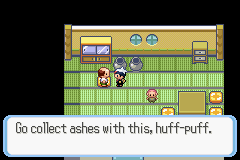 When you've collected enough ash, the man who gave you the bag will craft you a selection of glassware that you can use to decorate a secret base. Check out our Secret Base Guide for a complete list of all decorations and how to get them. Just west of the glassmaker's shop is TM32 - Double Team hidden in a small mound of ash. 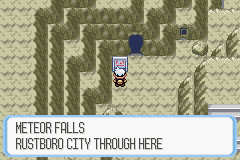 Continue west until you reach Fallarbor Town. 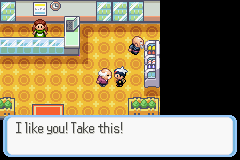 When you go to heal up in the Pokémon Center, talk to the girl standing in front of the PC. 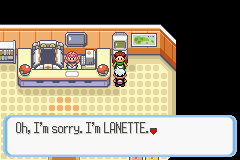 She's Lanette, the creator of the Hoenn storage system. 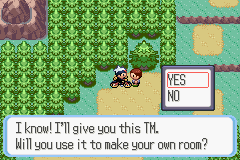 She'll invite you to her home on Route 114 before leaving. Fallarbor Town is very small, but it does feature a Contest House and the exclusive Move Tutor. In exchange for a Heart Scale, you can teach one of your Pokémon any move that they will have learned by level-up but may have forgotten/forwent learning. 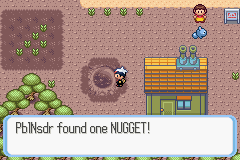 You can find a hidden nugget in the crater, which can be sold for to the PokéMart for 5,000. There's nothing left for you here, exit to the west when you're ready. Enter the Fossil Maniac's house (the first one you'll come across) and speak to his little sister to get the very important TM28 - Dig. 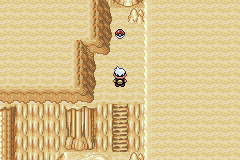 You can enter the tunnel to talk to the actual Fossil Maniac if you like, he'll tell you about a fossil you can find on Route 111 (the desert). Talk to the nearby classily clad gentleman with a Poochyena to get TM05 - Roar. Talk to the two fisherman by the bridge to battle them, as well as the girl directly south of it. 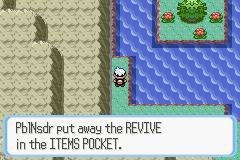 Then head west along the water to find a hidden Revive at the end of the path. 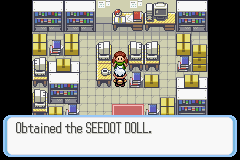 Enter Lanette's house here to get either the Seedot Doll (Ruby) or the Lotad Doll (Sapphire). 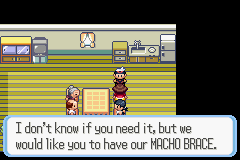 You can also snoop around on Lanette's PC to find a nice easter egg in an email from Bill, the creator of Kanto's PC. Talk to the person wandering outside of Lanette's home to the south and you'll get a single Pinap Berry. 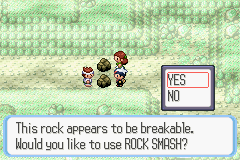 After defeating a set of twins in a double battle, you can climb the side of the mountain and smash the rock's here with you guessed it, rock smash. Grab the Protein from the Item Ball. 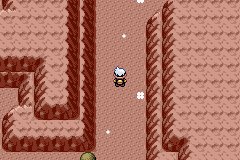 Follow the mountain path and defeat the three trainers here before entering Meteor Falls. Head straight up the stairs to nab a Full Heal in an Item Ball before crossing the bridge. 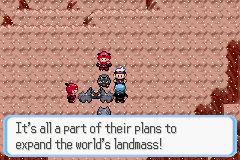 You'll come across Team Magma/Aqua who are busy with their evil plot, as always. 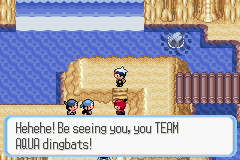 However, Team Aqua/Magma (who are the sworn enemies of the opposite team) will show up, siding with you in stopping them. 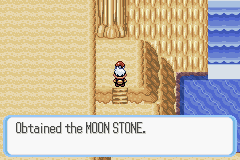 Take the stairs to the west to find a Moon Stone, which will be important later. 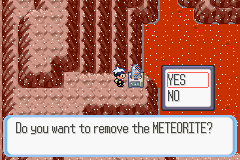 Exit Meteor Falls to the south. 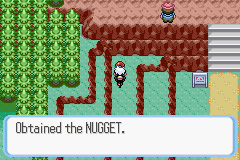 Defeat the trainer here and use rock smash on the boulder. 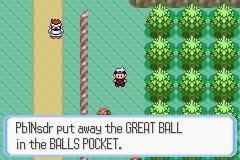 You'll find an Item Ball with a Great Ball in it, how convenient! There is also 6 Bluk Berries to be found just south of the Great Ball. 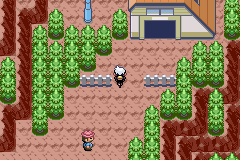 After defeating two more trainers and hopping some cliffs, you're back in Rustboro City. Heal up and do anything else you might care to while you here, then head back for Fiery Path. Remember, Rusturf tunnel is open connectig Rustboro and Verandurf Town, and you have a bicycle that reduces travel time. 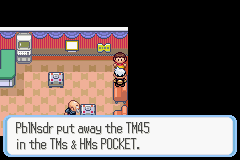 The cable car that was previously blocked by Team Magma/Aqua grunts is now available for your use, so talk to the lady inside and take the Cable Car on up Mt. Chimney. Your path to the south will be blocked by a set of battling Team Magma and Aqua grunts. Head north up the stairs and you'll find a lot more in a similar fashion. 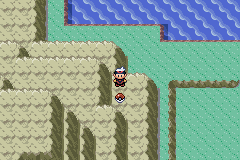 Continue northwest and defeat the two Magma/Aqua grunts here. 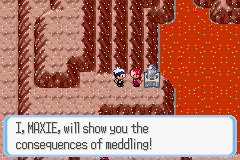 You'll then face off against a Magma/Aqua leader, either Maxie or Archie. Both will put up a good fight and have plenty of Super Potions to use if you let them. After defeating one leader, the leader of the opposite team will thank you for your efforts. Take the meteorite from the strange machine and head back towards the cable car. Go down the stairs that were previously blocked onto the Jagged Pass. 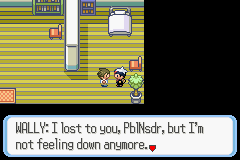 Besides a few trainers and a Burn Heal in an Item Ball, there's nothing to do on Jagged Pass. The odd looking stones can be used to climb back up the mountain if you have the Acro Bike. 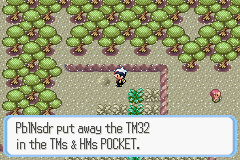 Continue down the pass until you exit onto Route 112. You could jump down a few cliffs and grab a Nugget from an Item Ball by travelling East, but you'd have to climb all the way back up Mt. Chimney and go back down Jagged Pass to get back. Head west and you'll soon arrive in Lavaridge Town (Lava, ridge. Get it?). 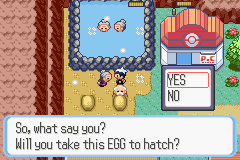 After a quick heal, talk to the lady standing below the hot springs. She'll offer up the Wynaut Egg, which can be hatched into a Lv1 Wynaut. The building to the east of the gym is an Herb Shop. Enter it and talk to the man to receive a Charcoal. Do any training you think you might need too, then head for the gym!